Festival of Peaches | I Am Not A Restaurant! Who woulda thunk…best peach season ever is lingering! Today features a fruit crumble. Later this week: pie! And because stone fruit gods were smiling over the weekend…a farmer's market bargain ($4 for 9 peaches!) could mean peach pie again for the third annual après Thanksgiving. **Assemble and freeze raw pie, bake as normal without defrosting. It's worked before with apple. I loosely followed a Martha fave for the cobbler. But I doubled the topping (! ), peeled the peaches, and subbed a teaspoon of balsamic vinegar for the lemon juice in the fruit. I also cheated the sugar in the filling down to less than 1/2 cup since the fruit was super sweet. If you put this in the oven before dinner, it's ready for dessert. No need to let it settle for hours like pie. 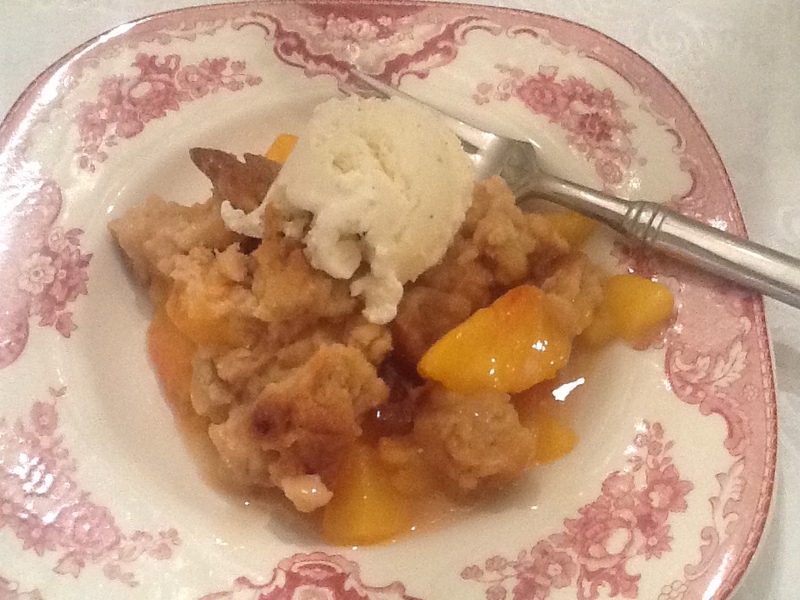 Sep16September 16, 2013 • By Betsy Karetnick • This entry was posted in Dessert, Kitchen Help, Recipes and tagged Martha Stewart Living, peach cobbler, peaches. Bookmark the permalink.